BC Instant Lawns is a sport field / golf course fairway installer in Vancouver, Vancouver Island and in the Okanagan. Call us for a quote on your sport field or golf course fairway sod project. 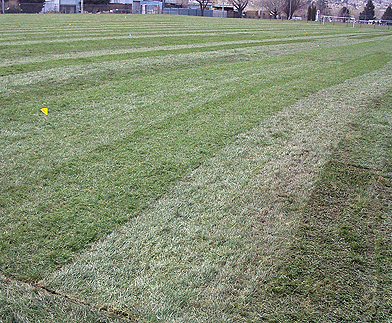 We offer both standard size small roll or big roll sod installation. Building or repairing a grass soccer football field? We are southern British Columbia’s premier choice. From lawn bowling facilities, to golf courses, parks, and baseball diamonds: we have done it all. Our top quality sod and professional installation team ensure that the job is done right. Our crews take care to ensure proper drainage on new fields keeping rain cancellations to a minimum. When you need a lot of grass, and you need it fast, you should call us. Golf courses take a beating, but are also expected to look pristine. We are the experts that can take care of the problems your regular maintenance team can’t handle. From complete overhauls, to minor repairs we can have your course back in the condition that your members expect from a quality club. We have experience installing and repairing roughs, fairways, and greens. As avid golfers ourselves we understand the expectations of your members and work hard to help you surpass those. Get your course ready for the season by calling us at 604-454-4954, emailing sales@bcinstantlawns.com, or fill in in the online form below. 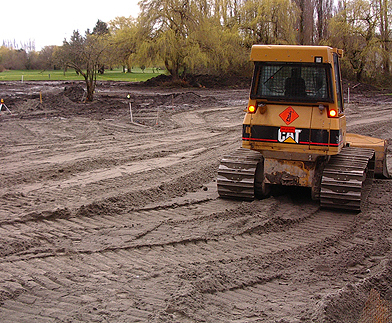 Earth Mover preparing for sod installation, Musquem golf course. 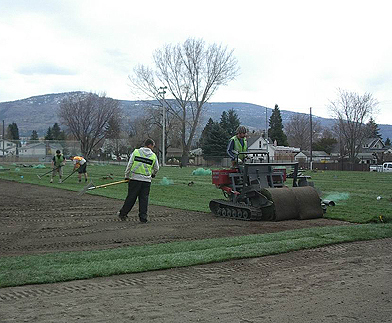 Big Roll Sod Installer in Penticton sport field. Small Roll Sodding of a Vancouver Sport Field near Nat Bailey Stadium. 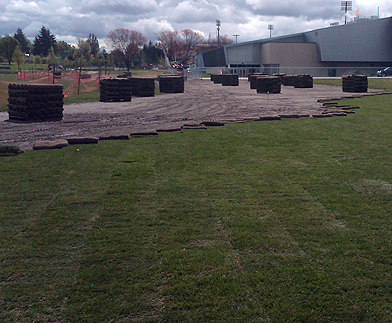 Big Roll Sod Rolls being installed on a sport field in the Okanagan. 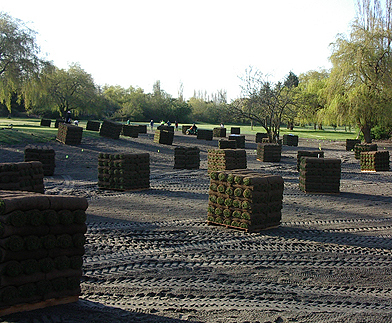 Turf pallets spread on a golf course for a newly sodded fairway. Completed sport field sod installation with the irrigation system operating. 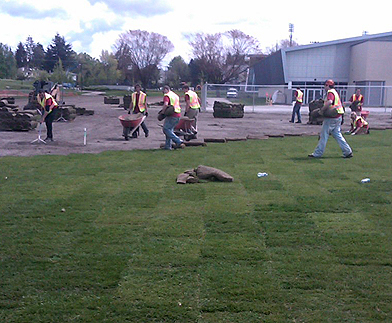 Sod pallets placed in a park in Vancouver for installation. Completed Big Roll Sod Installation on a sport field. BC Instant Lawns has been a sport field sod and sodding installation service in British Columbia for over 20 years.